What I really meant was “blogging”. I have been away from this blog for much longer than I intended. 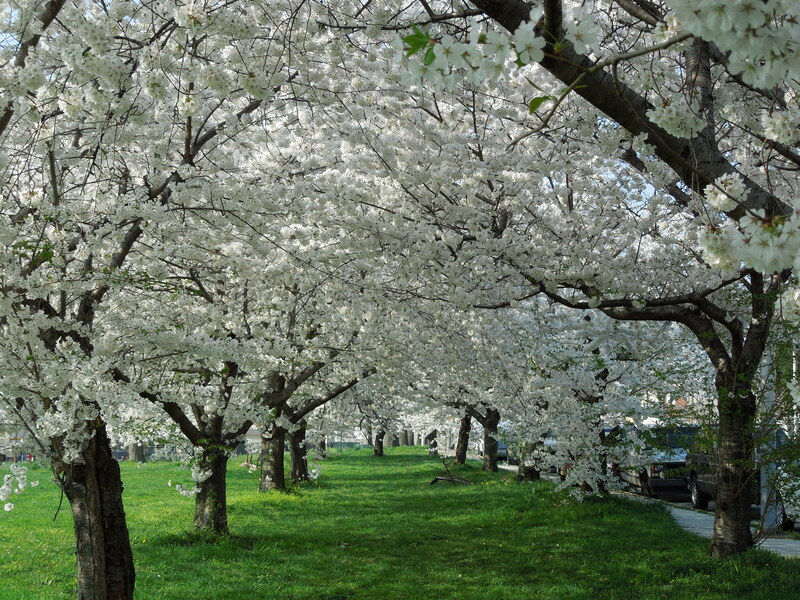 While I was away, the whole country blossomed into Spring. What was I doing, you ask? I’d love to be able to tell you that I was doing something noble, like volunteering with Doctors Without Borders, or something equally heroic. But the truth is much more boring. Lofty life coaches and workplace style-minders might say I’ve been “trying to find a better work/life balance”, but I think it is better to use clear, Anglo-Saxon words. I was cleaning up my work vs. home schedule. January is typically a quiet time for interior designers. Many potential clients are taking it easy while they pay off their holiday bills. Most people savor being at home with their families, sharing indoor activities and enjoying cosy winters viewed through frosted windows. No one is really in the mood to paint or re-organize all the family room furniture. And who can blame them? And while we were able to get our business paperwork done, we spent a lot of time working on other little projects that popped up as unexpectedly as Spring. Just the daily life stuff everyone has, like head colds, car repairs, social events and housework. And all the stuff that goes along with owning small businesses, like tax preparation, networking, creating new marketing materials and okay-I’ve-officially-outgrown-this-file-cabinet-and-now-need-another-one. It may not seem like much, just the stuff that everyone else deals with, but it got ahead of us. So, we took a purposeful pause and re-grouped. We needed to overhaul our work schedules to make our home work better and we think we have conquered a new layout now. While I had spent many loving hours helping other people make their homes more lovable, my own was becoming a bit of a wreck. I’m a proud Type A personality (see my organizing posts as evidence) so the clutter and cleaning I tried to ignore was getting to me. Spring cleaning was never so welcome in our home! So now I am back! Refreshed, reorganized and with lots of things to share on the blog. Even while I was away, I was dreaming up things to talk about and writing little notes to myself about things to share. My goal is now to get them all typed up and back into the new-post-every-weekday format I enjoyed writing before my break. I hope all of you who are reading this will come along for the ride. And speaking of readers, I wanted to thank all of you who left messages and emailed me about missing the blog. I was missing all of your comments and sharing my favorite design things, too. Thank you for taking the time out of your day to send your “Where the heck did the blog go?” notes! I could also see that many of you were sharing the blog site with friends, based on all the archived posts that were viewed every day. Thank you, thank you, thank you for keeping all of my previous writings active over the past few months. I have a lot more to share with you and I can’t wait to get started with all the details. 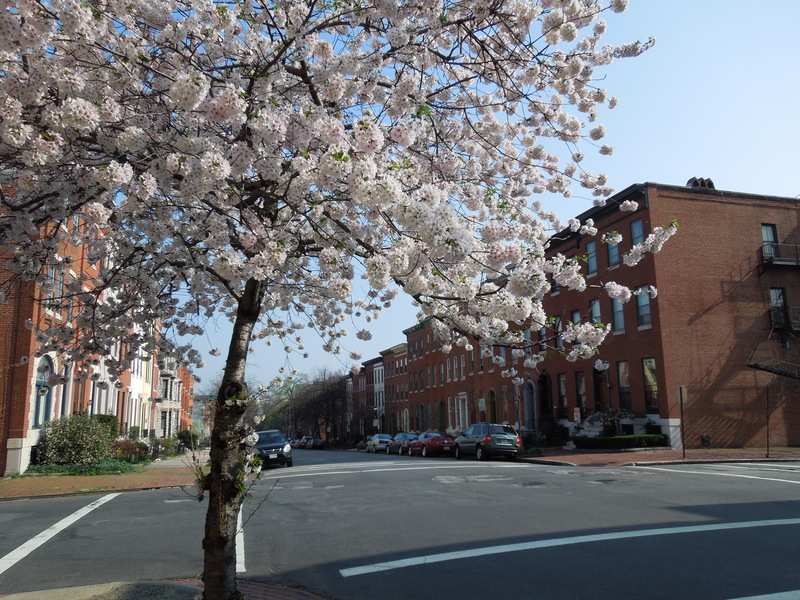 All of the pictures in this post were taken by me as Spring showed up in Baltimore over the past few months. 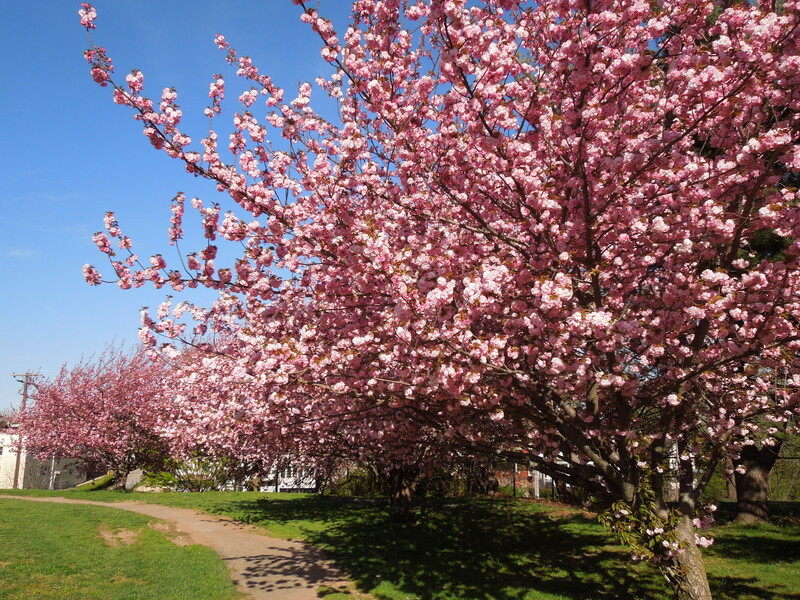 I love it when the cherry and apple blossoms make their annual appearance in our area. I hope they bring a happy bit of color to your day, too. 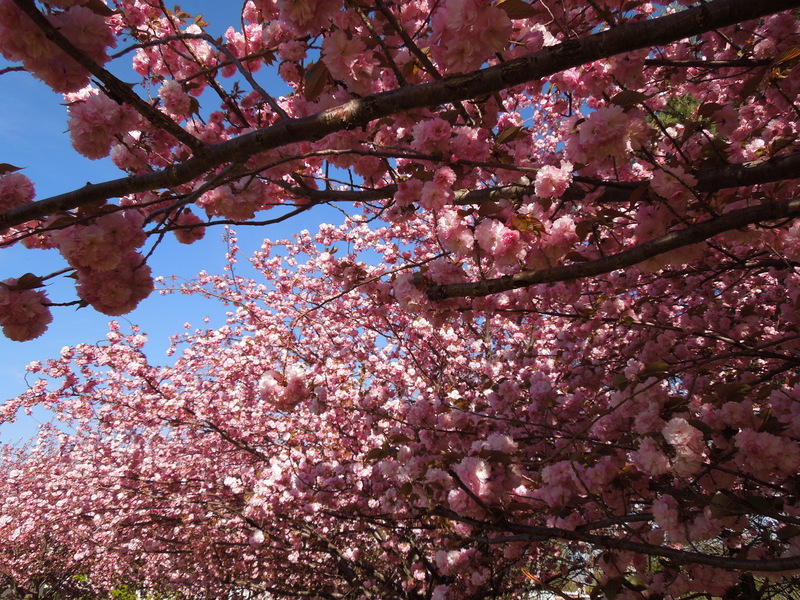 Is there anyone else out there that finds flower blossoms energizing? What motivates you to really get moving with stuff around your house? Blogs are for conversation, so share your thoughts in a comment! And, okay, I’ve been away for quite a while, so I’ll just say it: Is anyone out there? Chime in and say “Hi!” if you are reading this! Posted on May 2, 2012, in Lifestyle. Bookmark the permalink. 8 Comments. Great pictures! I love those blossoming trees. I’m so glad you’re back! I’ve missed all your great tips. Hello, good to have you back. Lovely pictures! I especially love Linden or American Basswood blossoms, though they won’t bloom for awhile. Also, Wisconsin offers some wonderful Basswood blossom honey! Thanks so much to all of you who are still reading my posts! And thanks for taking time out of your day to respond in comments. I never take that for granted! I have great stuff to share and can’t wait to hear what you think! Love to you all!